'Tis the season to sew some circuits! Our next Intro to e-textiles class Tuesday, December 18th at 7 PM. 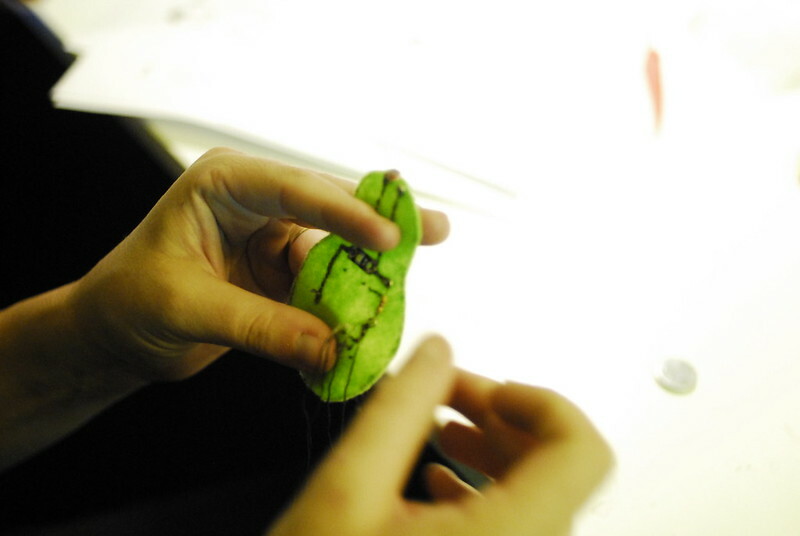 This workshop is an introduction to e-textiles and focuses on integrating ordinary electronics into fabric. We will modify ordinary electronic components and sew them together using conductive thread. You will take home a plush firefly that lights up in the dark. No prior knowledge of electronics or sewing required, but experience helps. All materials included for $50. Tools are provided, but feel free to bring your own if you like (round nose pliers, round tip pliers, cutters, and fabric scissors). Call (206-357-9406) or come down to the shop to sign up. Space is limited.